In the last 100 years, the food and drink industries have experienced an immense transformation. As companies begin to take over and mass produce, naturally the demand for raw materials increases drastically, and the emphasis on quantity over quality tends wins out to meet demand. From bread to beer, we have found ways to make more, faster. This of course has also pressured agriculture into its own industrialization, creating a much larger, industrialized production processes to store, transport and transform such immense amounts of raw materials into final products. Today the industry uses chemicals that help force maximal yields in a shorter period of time, often generating collateral damage in health and in the environment. Further side effects have manifested in the lack of regard for sustainability, local farming and more. Flavor, for instance, has been deprioritized in lieu of volume and cost. In order to reverse this trend, varieties that may not as yielding must be rescued and agricultural techniques that may actually restrict growth, but provide complexity in flavor, need to be cultivated. In Oaxaca, Mexico, you can still walk into a market and find two apparently identical chilies with various pricing. While they appear to be the same, the expensive one likely has sensorial qualities the other cannot provide. The established spirit industry has solved this issue by obtaining services of “flavor scientists” in “flavor houses” that add extra tastes at the end of the production line. This is instead of looking for the best raw materials and carefully choosing a production process that keeps the richness of their flavors throughout their production into spirit. Most large producers look for a plain base spirit that can be then aged or flavored within the lax limits each category allows. Consistency has become the ultimate industry commitment to keeping consumers happy. Through marketing, they have been able to create more interest around generating an emotional connection to a brand over the product itself. There is an opportunity for sensorial quality to be a superior attribute above consistency, even if many times some variability may exist. We need to start seeing spirits as agricultural products that can and should have some level of change. The spirit industry is a hyper-concentrated one where very few companies and brands sell the vast majority of litters in the world. By allowing diversification within the spirits industry, with new approaches and propositions, we can keep the immense cultural and biological possibilities behind it alive. 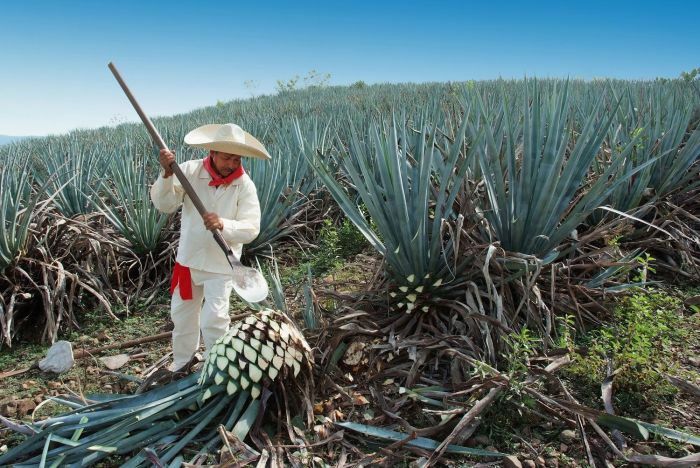 Millions of tons of agricultural raw materials are transformed into spirits every year. Raw materials include barley, corn, rye, wheat, sugarcane, grapes, potatoes, apples, and agave. Organic agriculture provides an opportunity for the spirit industry not only to make healthier and environmentally-friendly products, but for new generation of brands and distillers to value and capture flavor through craft, by accessing better quality raw materials. Organic agriculture permits a farm-to-bottle approach where sustainable and local raw material become culturally-enriched spirits, capable of exhibiting high quality in flavor, promoting local economy, and more diverse and interesting commercial propositions.